The upper air circulation over Rajasthan has moved on into Pakistan on Sunday. But, it has considerably weakened, and has not brought meaningful rains for Rajasthan yet. As estimated in "vagaries", the W.D. did interact, and rainfall was recorded in east Rajasthan, north M.P and Haryana as a result. Continuing our discussion from yesterday's blog, the wind flow in the Arabian Sea off the west coast has gained speed from Sunday, and is now re-routed (after the demise of Conson) to flow across India into the bay, and thence north-eastwards. As a result, we will see the west coast rainfall momentum keeping up this week. A burst of temporary "over strengthening" of the winds on Wednesday, 21st, will result in increased rains in Konkan on that day. 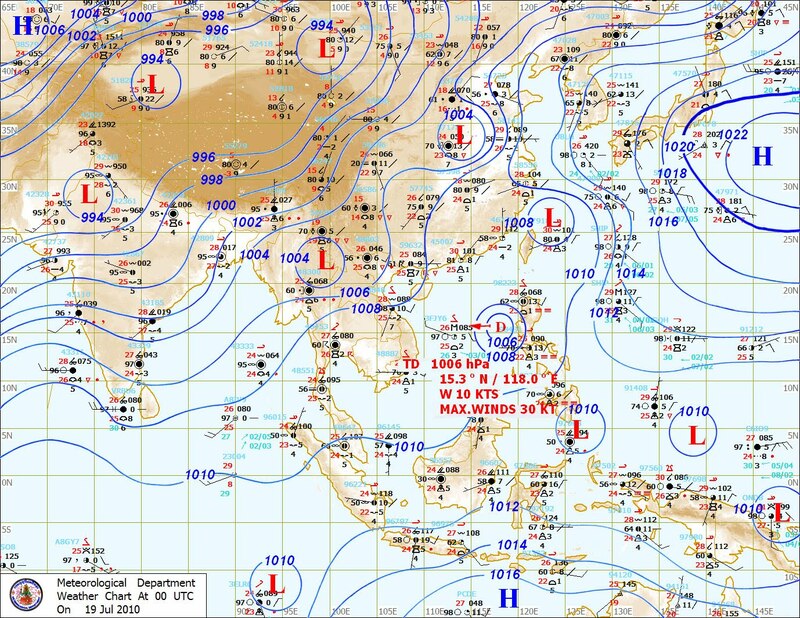 The Monsoon trough is seen slanting south-east from Rajasthan in the Thai Map. The Bay end of the trough can be deemed to be conducive to form a low off the A.P. coast by 21st. And hopefully, July will not end without a system ! The central regions along the trough, M.P, Vidharbh, Chattisgarh and A.P. will continue to get moderate rains. From 21st, coastal A.P. may get some heavy falls. Rest of interior south will have scattered rains this week. Mumbai received 30 mms of rain on Sunday, pushing up thr total further upto 1479 mms at Colaba and 1433 mms at S'Cruz. Monday/Tuesday will be partly bright, with passing rain showers, not too prolonged. With rainfall of about 25 mms/day. Wednesday will be windy and an increase in rain intensity to 75 mms. Possibilities of sudden heavy showers. Anant, 2 months is difficult to estimate with things changing every day. 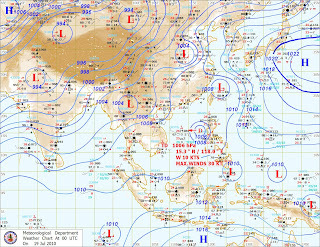 But, MJO is good till end of July.After that, 1st week of aug shows a weak trend. country wise there has not been a lull as such, though the overall is still -13%. The low off AP Coast does not seem to be in the offing by tomorrow. The IMD still maintained as of yesterday that there was no chance of any cyclonic genesis in the next 5 days in the bay.